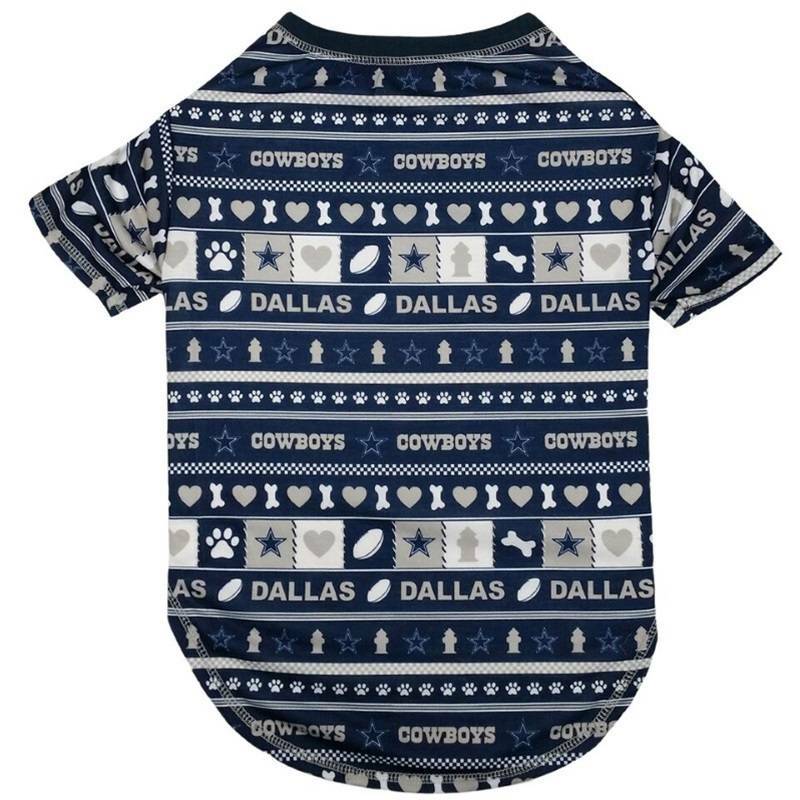 The officially licensed Dallas Cowboys Pet Novel-Tee is a fun way to start off any gameday celebration! The allover team print is sure to catch the crowd's attention. The officially licensed Dallas Cowboys Pet Novel-Tee is a fun way to start off any gameday celebration! This shirt is designed with an allover print of team graphics that is sure to get the crowd's attention.